The past week has been filled with emotional tributes and humbling experiences. The month of November is home to two very important days to me and to our country. The first is November 10th, The Marine Corps birthday. This is a sacred day to all Marines young and old. 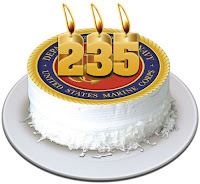 We turned 235 years old this past week. I think we look pretty good for our age. Besides the birth of my children, the day that I was called Marine for the first time is the proudest day of my life. I can still hear the voice of Senior DI Sgt. Romans as he called us Marines for the first time before we marched over for graduation on August 31st 1990. He explained he had been the one that had spent the time in training with us and would not be cheated by some Officer who had no idea of who we were, of the privilege of calling us Marines. Sgt. Romans was the epitome of a U.S. Marine. He was one of the four Oakland police officers killed in the line of duty in 2009. 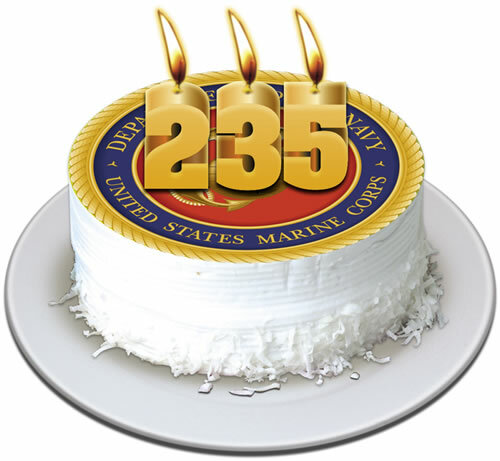 The Marine Corps Birthday is celebrated like Christmas for each Marine. It is a time for us to puff out our chests and let everyone know that we are truly The Few, The Proud. We are the smallest branch of the military, less than 1% of America’s population are Marines or Former Marines. It is a small fraternity and we like it that way. 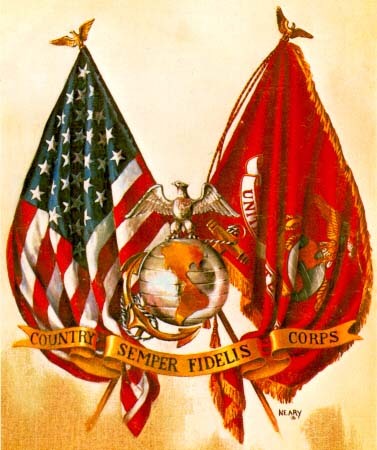 The Marine Corps has a much celebrated history. One that is colorful and filled with stories of bravery and heroic acts that go beyond human belief. As Marines we are unapologetic for who we are. We have a mission and we will accomplish it to provide the security that each American enjoys. 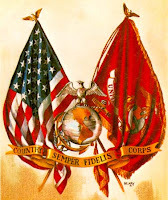 Semper Fidelis to all of my fellow Marines. On November 11th our nation recognizes all Veterans and their sacrifice. One did not have to serve in combat to have made a sacrifice for our country. Anyone that has served has made the sacrifice. Your country called and you stepped forward. You did your part. It is the Veteran that placed his or her life on the life so the very people who protest them would have the right to do so. I had the opportunity this year on Veteran’s day to take part in an interactive television show and documentary honoring Veterans. I was asked by a television crew to be the Desert Storm Veteran. I was accompanied by World War II, Korea, Vietnam and Iraqi Veterans. It was an honor to stand among them. The filming took place at Jefferson Barracks National Cemetery in St. Louis. In the audience there were several disabled Veterans and Vets from all eras. To see the sacrifice these individuals have made and continue to make is very humbling. 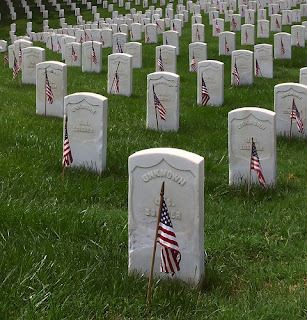 In between the two shows I drove out into the cemetery, as I looked out in to the thousand of white headstones it truly slams home what has been given to ensure we have freedom. The following day I attended a Veteran’s Breakfast and Ceremony provided by Herculaneum High School. It has to be held the day after Veteran’s Day, because HHS is closed on Veteran’s Day, as they should be. I tip my hat to them. I find it a travesty that other schools are in session on Veteran’s Day. Shame on you. To the school boards that refuse to vote for the closure, shame on you as well. All of the days that are taken off each school year for whatever reason, I think you can close for November 11th. I don’t want to hear the excuse of “we teach about it that day”. You have all year to teach it, close that day. I would like to take the families of Veterans who were killed in action into the school board meetings and let them be told their loved one’s sacrifice wasn’t worthy of honoring with a day off. As Americans we must each do our part to ensure the sacrifice and service of all Veterans is never overlooked. Take the time to thank a Veteran and have the guts to stand up speak for the Veterans who no longer can. They did for you.